Nisha Sembi captures the sights, sounds, and memories from her Motherland through a can of spray paint and the pages of her tattered black book. For Sembi, the world is a blank canvas, offering her a chance to illustrate the stories of the oppressed - those who she says have been left out of the narrative. As one of the only female South Asian graffiti artists in Los Angeles, the road to this form of artistry wasn't an easy one. “When you are a young woman of color with immigrant parents, there seems to be a very specific path you are forced to follow,” Sembi, 26, told NBC News. Sembi, a first-generation Sikh American, was born and raised in Berkeley, California. Her mother was from Punjab, India. Her father, also Indian, was raised in Kenya. After an arranged marriage, her parents moved to California in 1977, in search of a better life for their family. Their daughter's foray into this art form wasn't exactly what they expected. "Graffiti is a form of art that challenges authority and represents the people's voice without any infiltration." As a teen, she was often engrossed in her notebook - doodling and tagging to pass the time. She developed her skill as a henna artist, practicing elaborate designs on friends and family, and eventually turning her talents into a professional venture. Over the years, she continued to hone her voice and discover how she wanted to use it. Eventually, she began painting the blank canvasses around her, telling her own story on the city walls that surrounded her. “In a society that constantly shoves advertisements down your throat, we become conditioned to believe whatever the media throws at us," said Sembi. "Graffiti is a form of art that challenges authority and represents the people's voice without any infiltration." In high school, a classmate asked for her help designing a poster, advocating for the preservation of ethnic studies. Sembi picked up her first can of spray paint, and knew instantly that this would be her weapon of choice. Sembi received instruction from the legendary graffiti king, Spie TDK. Sembi spent extra hours after school, refining her artistry, flipping through TDK’s graffiti blackbooks, and teaching herself to create thought-provoking murals that had a meaningful impact on society. It was the first time Sembi started experimenting with street art. With TDK’s teachings as a backbone and pillar of strength, Sembi later went on to paint the Mecca of Graffiti 5 Pointz in Queens, New York, before it was destroyed and buffed, she says. But it didn’t stop there. Sembi also met with versatile graffiti writers in India who taught her how to be resourceful and appreciative of the tools in front of her. It was in New Delhi where Sembi painted her first graffiti piece in the Punjabi language. Her goal, she says, is to return to her Motherland so she can receive instruction and study under an Indian sign painter. "I see myself as another warrior of this culture - fighting a great battle to preserve our culture and share our story and style with the world"
Sembi initially saw her art as a movement and fusion of Indian culture. But in recent years, she says her art has slightly changed its course to serve as a tool for social and political change. “As a South Asian female graffiti artist, I see myself as another warrior of this culture - fighting a great battle to preserve our culture and share our story and style with the world," said Sembi. An interest in South Asian political history from her school days now inspires her to advance the legacy of those movements. Two recent posters depict Sikh American men holding up signs that read “Ekta,” and “We are the 99 percent” -- a response to the Occupy Wall Street movement. She's designed some tongue-in-cheek screen prints mashing Bollywood, graffiti, and "West Coast living" for a clothing line called "Kalakari." “I hope that my art work can inspire these ‘model minorities’ to break the mold and put their own stamp on society,” said Sembi. L.A.: Mural Capital of the World? By the 1980s, Los Angeles quickly became known as the “Mural Capital of the World,” according to Isabel Rojas-Williams, executive director of the Mural Conservancy of Los Angeles. But in 2002, Los Angeles placed a moratorium on murals, putting a dent on the creative arts community. In 2013, the Los Angeles City Council overturned the decades-long ban and clarified the regulations surrounding what is deemed as commercial advertisement and art. Rojas-Williams was part of a team of advocates who helped push for the restoration of freedom of expression for muralists in Los Angeles and ultimately aided in the assistance of drafting a new mural ordinance. Traditionally, men have dominated the world of muralism, Rojas-Williams explained. "Nowadays Los Angeles is experiencing a change where females of all ethnicities are taking more active roles in public art"
Rojas-Williams -- who previously served as an art liaison for the Asian and Pacific Islander American Committee during former L.A. Mayor Villaraigosa’s administration -- says Asian American females have not been as visible in L.A.’s mural scene. But she says that now, that fact is quickly changing. 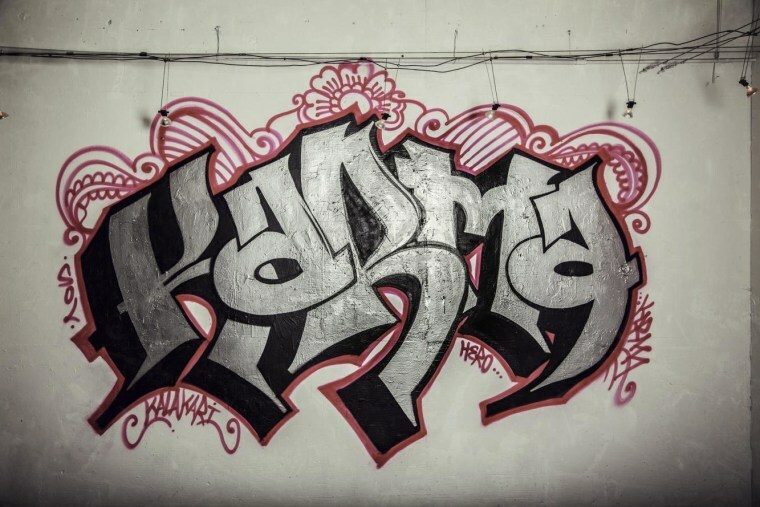 Asian American female graffiti artists are gaining prominence and leaving their marks. Rojas-Williams points out a slew of examples - including Lady Aiko, Shamsia Hassani, Hueman, and Erin Yoshi - who have all painted murals in L.A. over the past few years. “Nowadays Los Angeles is experiencing a change where females of all ethnicities are taking more active roles in public art," said Rojas-Williams, "and many are collaborating with their male counterparts in creating pieces that are reflective of the world we live in today, where men and women are seen as equals." In an effort to connect South Asians to their families' countries of origin, in 2012, Sembi and rapper and hip hop artist Mandeep Sethi, launched Word to Your Motherland, a series of visual and audio exhibitions connecting the diaspora to places of cultural origin. As part of the exhibition, Sembi helped to create a 90-foot mural in North Vancouver, Canada, currently displayed on the facade of a homeless shelter known as the North Shore Lookout Center. It’s currently one of the largest graffiti murals in the Lower Mainland, according to Creativa International. “Our intention with the mural was to create a public art piece that depicted cultural elements of several Motherlands including Indian tattoo motifs, Haida art work, and of course graffiti," said Sembi. "We wanted to depict the stories of our ancestors through traditional imagery and hip-hop." Sembi’s work has been featured at various solo and collaborative exhibitions across the globe: The Living Room Gallery in New Delhi, India; Our Name is Rebel: Images of Berkeley's Radical South Asian Legacy and Art As Liberation in Berkeley, Calif; and Ofrendas: From the Bay to Mumbai, Smshbx Gallery, Oakland, Calif, among various others. Her murals and collaborations have been featured from L.A., to Berkeley, to all the way in Brick Lane, London. One exhibit in particular resonates with Sembi: Puzzl3Peace, an exhibit that served as a tribute to Jusdeep Sethi, the late brother of prominent L.A.-based rapper Mandeep Sethi. For Sembi, Jusdeep’s passing solidified her belief to continue empowering other Asian American female graffiti artists to dispel cookie cutter stereotypes and forge their own creative destinies. “As a first generation Asian-American, we have a very unique story to tell, and if we do not take ownership of it and document it, who will?” asks Sembi. Follow @NBCAsianAmerica on Twitter and like NBC Asian America on Facebook.